Many people have tried to decipher this book over the years, from William Friedman, the pioneering cryptologist known for breaking Japan’s code during WWII to modern day computing PhD students, but no one has yet cracked the code. To date any attempted translation of the text remain nonsense. In 2009 a piece of this manuscript was tested using radiocarbon dating. This is a process that allows us to determine the age of an object containing organic material by using the properties of radiocarbon, a radioactive isotope of carbon. The results showed that the manuscript likely dates to some time between 1404 and 1438. These results rule out Roger Bacon, the English scientist, as the author of this manuscript because he died in 1292, over one hundred years prior. After the death of the alchemist Georgius Barschius, the manuscript was then passed on to his heir, Johannes Marcus Marci, who sent it to an Egyptian hieroglyphics expert in Rome for help decoding the text which was unsuccessful. We don’t hear about it until 1912 when Polish-American antiquarian bookseller, Wilfrid M. Voynich, whom the manuscript is now named after, purchased it from the Jesuit College at Frascati near Rome. In 1969, the codex was given to the Beinecke Library by H. P. Kraus, who had purchased it from the estate of Ethel Voynich, Wilfrid Voynich's widow. Of all the articles I’ve read about this manuscript, there is one that stands out to me, which is worth the read, especially because of the controversy that surrounds it. It is called Voynich manuscript: the solution by Nicholas Gibbs. It appeared as the cover story of Times Literary Supplement in September 2017. I did a quick web search but I wasn’t able to find ‘the’ Nicholas Gibbs who wrote this article. My searches ended up being circular. All search results at that time, ended up pointing back to the TLS article. The TLS website didn’t have any further information on the author either. However in the article the author advises his readers that he was a professional history researcher as well as a muralist and war artist with an understanding of the workings of picture narration. This experience was an advantage that he was able to capitalise on for his research into the manuscript. 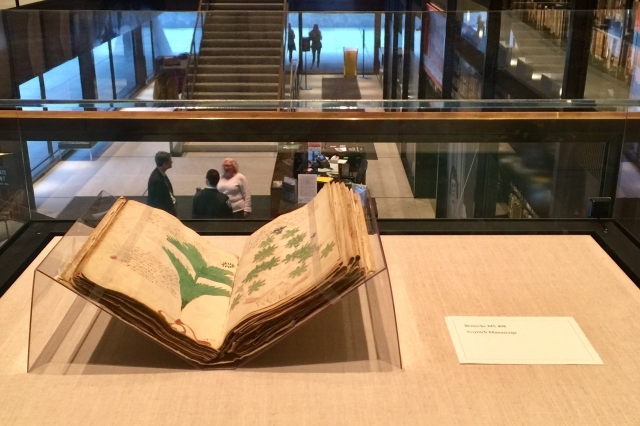 While he wasn’t able to translate the whole text he was able to pick out a few reoccurring words within the text and according to his experience, he believes that each character in the Voynich manuscript represents an abbreviated word and not a letter. He also noticed that the top and bottom of each page seemed to have been cropped - we’ll get to both of these points latter. Comparing the Voynich Manuscript with other medieval books and manuscripts on medical practice, Gibbs was able to work out that the Voynich Manuscript is most likely a Trotula. Gibbs believes that it’s specifically a reference book of selected remedies lifted from the standard treatises of the medieval period, an instruction manual for the health and wellbeing of the more well to do women in society, which was quite possibly tailored to a single individual. Mr Gibbs concludes that the Voynich manuscript must therefore be a series of (“simple”) recipe ingredients with the necessary measures however the pages numbers and index are missing. The index and the page numbers are missing. 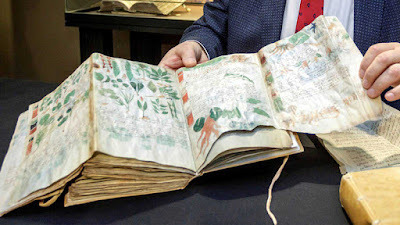 Why is this important to solving the mystery of the Voynich manuscript? 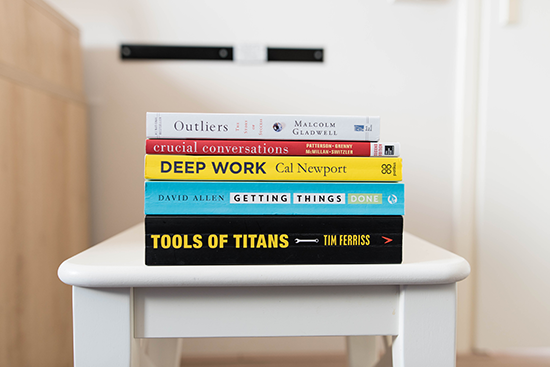 Similar books from that time included both which is what made it useful. While the above explanation seems the most plausible to me, others have debunked it. One person who should especially be listened to on this issue Lisa Fagin Davis. Lisa Fagin Davis is the executive director of the Medieval Academy of America and she was asked about Gibbs article when interviewed for an article in Atlantic titled Has a Mysterious Medieval Code Really Been Solved? The decoded text which Gibbs provides includes only two lines which are “…not grammatically correct.” Davis also points out that the translation “doesn’t result in Latin that makes sense.” So we’re back to square one, no one has yet deciphered the manuscript yet. His explanation that the key is a lost index represents a kind of magical thinking. Remember Gibbs says that the recipes require an index that explains which illnesses and which plants the drawing correspond to is missing. One final thing to note is that you can’t find any trace of the author "Nicholas Gibbs". As I previously mentioned the search results are circular, he only appears in relation to this article. It could be that this article, like the Voynich manuscript is a hoax. If this is not a work of fiction, the debunking of this article could be due to the fact that Gibbs is unknown and an outsider to the Voynich community.